The story of this wrecked Aston Martin will infuriate you. One Canadian woman is learning firsthand just how much it costs to repair an exotic luxury car. Jessica Liu, a resident of Richmond, British Columbia, paid $151,900 ($200,000 Canadian) for a 2013 Aston Martin DB9 Centenary Edition back in December of 2015. Richmond News reports that she only drove a few kilometers before veering off the road and striking a large stone. The cause of the accident is unknown, but what is known is that Liu only had basic insurance coverage. You can guess what happened next. The DB9, one of only 100 made, was taken to Vancouver’s Burrard Autostrasse (BA) where it remains today. The repair bill totals $100,292. Liu takes exception with the estimate, particularly with the cost of a set of brake rotors ($22,793) and a new subframe ($18,994). Those estimates don’t include labor. “I’m not going to pay a cent; I don’t even want the car back anymore; I want a refund (from the dealer). I don’t think it’s safe to drive. I just drove it for two weeks; I don’t trust the car, I don’t trust the dealer and I don’t trust the autoshop’s invoices,” Liu told Richmond News in an email. 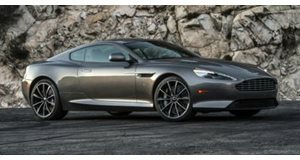 The reference to not trusting BA likely comes from the fact that the DB9 owner shopped around for quotes on the subframe, finding a shop that would do it for $7,597 or less. The problem is that a shop needs to be approved by Aston Martin to purchase and install the new subframe. Ironically BA is the only shop near Liu that is Astron Martin-approved. In addition to the repair costs, Liu has also run up $13,676 worth of storage fees at Burrard Autostrasse, which is charging her $151 a day. So, is there a resolution in sight? BA’s co-owner, Frank Van Pykstra, said he would waive the storage fees and knock $3,798 off the bill if the two parties can come to an agreement by Friday, January 11th. Will this situation be resolved amicably? Probably not. Jessica Liu seems in way over her head. She clearly doesn’t understand the value of the car she bought, otherwise she would have gotten more than basic insurance coverage. She also doesn’t seem to understand the complexities of an Aston Martin and the high repair costs said complexities bring. No one ever wants to be shown a repair bill that totals more than half the value of their car. But ditching the car at a body shop and demanding a refund from your dealer is perhaps the worst way possible to handle such a situation. Note: All the oddly specific figures are due to the CAD to USD conversion.